Whenever a waste issue arises a common response is, “The government should legislate…”. While legislation is useful to either start a process or fill gaps, it is not the panacea for all problems. Think of how many people always drive below the speed limit on the road. New Zealand has taken a traditional route along the waste minimisation pathway. The first step to waste minimisation was the Health Act in 1956 which recognised that solid waste and sewage were health issues and local government became responsible for managing these wastes. Following acknowledgement that waste is a health issue, the next step in the process is normally to target hazardous wastes and practices. In New Zealand’s case this was The Ozone Layer Protection Act (1990) to eliminate discharge of those substances that helped to destroy the ozone layer, the Health and Safety in Employment Act (1992) which, in part, established safe practices for dealing with all waste and the Hazardous Substances and New Organisms Act (1996) which, in part, required management of hazardous chemicals and chemical wastes. The next step was expansion of what constitutes waste. Disposal was still the focus of the legislation, but the Resource Management Act (1991) stipulated that discharges (solid, liquid or gaseous wastes) need to be permitted through regulation, resource consent or regional planning. Resource consents required assessments of environmental effects, which included considering the risks and how organisations or developers were going to manage those effects. This gave regional councils the mandate to manage all discharges of waste in their area. With disposal effectively being covered by legislation, the next step was recognition that diverting materials before they are disposed could have financial benefits as well as environmental ones. The Local Government Amendment Act (1996) required each council to produce a waste management plan on how they were going to reduce, reuse, recycle, recover, treat and dispose of waste (the waste management hierarchy) in their area. The final major piece of legislation for waste was the Waste Minimisation Act (2008), which filled the gaps like providing regulatory support for product stewardship, the ability to charge a levy for waste disposal and requiring landfill operators to provide data to central government. All these things were hampering New Zealand’s ability to progress waste management. I have recently completed the Guidelines for Legislative Frameworks for Waste Management for the United Nations Environment Programme in which I used examples of legislation from countries all around the world to provide guidance for, in particular, developing countries to improve their waste legislation. The aim was to enable these developing countries to go from a waste dumping mentality to a circular economy (once non-biodegradable materials enter the economy, they do not leave it) without the need to take 60 years like we have in New Zealand, and typically in the rest of the developed world. Comparison of our legislation internationally shows that we have everything that is needed to engage in a circular economy world. New Zealand has legislation that covers solid, liquid and gaseous wastes and promotes waste diversion through using a waste management hierarchy. Provisions for product stewardship allow for individual products to be targeted to increasingly divert them from landfill, either voluntarily or by government mandate. We have levies that annually bring in currently $33 million (and increasing) for waste minimisation projects. 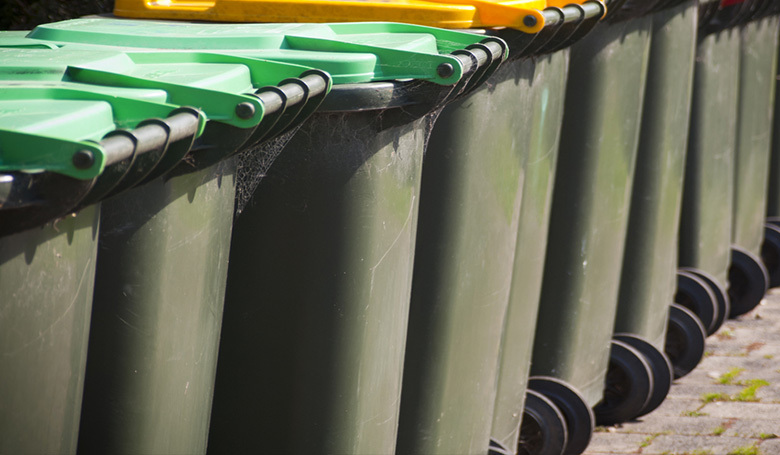 New Zealand has an integrated waste management structure with national-local continuity through local government responsibility for waste in their area and the requirement for waste management and minimisation plans. We have provisions to ensure selected data collection and reporting, plus measures for compliance and enforcement. Lastly, we have an advisory board of experts, separate to the Ministry for the Environment, to provide advice to the Minister. The only component we do not have is reference to the circular economy, something, which could be argued, is more of a philosophical approach than a legislated item. This then begs the question, if we have all the legislative components necessary, why has waste to landfill nationally increased by 35% per annum since 2009? Typical expectations internationally are that GDP and waste quantities are linked when there is no intervention to reduce waste. New Zealand has a 34% increase in gross domestic product per capita between 2009 and 2015, which indicates that the provisions for waste diversion from landfill are having little effect despite the large amount of work going on nationally to change the pattern. Closer examination of the government’s strategies provides a clue. Worldwide, countries and groups of countries (e.g. the South Pacific Region) include measurable targets in their strategies. The current 2010 New Zealand Waste Strategy has only two goals – reduce the harmful effects of waste and improve the efficiency of resource use – with no specific targets. The previous 2002 Strategy had 30 targets, of which 18 were achieved or on their way to achievement by 2006, 3 not achieved and the remainder could not be determined or were unable to be achieved. When the Strategy was reviewed after four years landfill tonnages had increased by 4% but GDP per capita increased by 58% over the same period. While it could be argued that pre-2009 figures are estimates, the methodology used to get those figures is the same, hence they are comparable. Some have suggested we should adopt measures like the European Union Directives requiring landfill diversion rates, but the driver there is to have high penalties for non-achievement, something that does not exist in New Zealand’s case. A result of the European Directive is the increase in incineration with the ‘benefit’ of producing energy. The downside of producing a waste that is hazardous and still needs to be put into a landfill, is ignored. Landfilling waste is a better option as it opens up the opportunity for later mining for valuable materials as technology and commodity prices allow. This is something that is already occurring in different parts of the world. New Zealand is in a good position to move to a circular economy with all the right tools in place. For that to happen, waste needs to rise up the government’s list of priorities to be alongside Resource Management Act reformation, air quality, climate change, freshwater quality improvement, land management, the marine environment and urban development. Jeff Seadon is an environmental scientist working in the Built Environment Engineering Department at AUT. 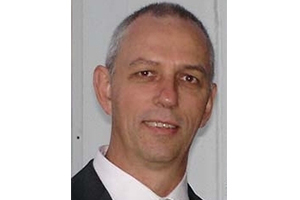 Jeff has spent over twenty years working in waste minimisation, resource efficiency and productivity. His PhD from the University of Auckland was in integrated waste management. Jeff has worked in academia, central government, where he was responsible for the Waste Minimisation Act (2008), and a Crown Research Institute. He has consulted to business (from micro to global) and local government on waste issues. Jeff has also provided waste policy advice to several Asian governments. Recently Jeff wrote the Guidelines for Framework Legislation for Integrated Waste Management for the United Nations Environment Programme which is aimed at developing countries. He is also one of three lead authors for the Asia Waste Management Outlook, due out next year.